This blog was previously published by Trust Across America – Trust Around the World as a part of their 100 Days of Organizational Trust program. 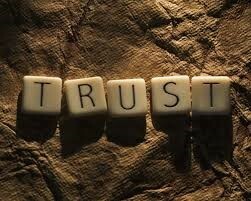 We hope you will enjoy this blog and also visit their website for more great blogs and other insights on trust. All these blocks are normal, but we need to learn to trust our own judgment and speak up when it is essential to do so. Some issues are business related, like pricing or strategy. Indeed, one may need more experience on these subjects before venturing to speak up. Other issues are values or ethics related, like being honest with a customer, or fudging the numbers in a report at the request of your boss. Here we each must have the courage to speak up, and it helps to have a strong ethical foundation. Have a small group of trusted advisors with whom you can share ethical dilemmas in confidence and gain their counsel. Under emotional stress, we can easily rationalize our behavior and begin to make ethical mistakes. Have some sanctuary place where you can reflect in solitude. Your inner voice gets shut down in our frenzied world, so find a place to meditate, hike, bike, or just relax where you can use your inner observer. Recognize it takes courage to speak up, even as a voice of one. Courage is not the absence of fear; it is the willingness to proceed in the face of fear. Trust your own judgment on ethical issues. You’ll sleep with a clean conscience. 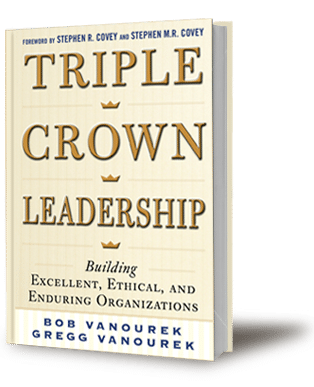 Bob Vanourek is a former CEO of five companies and the co-author of Triple Crown Leadership: Building Excellent, Ethical, and Enduring Organizations. Bob has been one of the Top 100 Thought Leaders in Trustworthy Business in 2013 and 2014. Contact him through his website: www.triplecrownleadership.com.